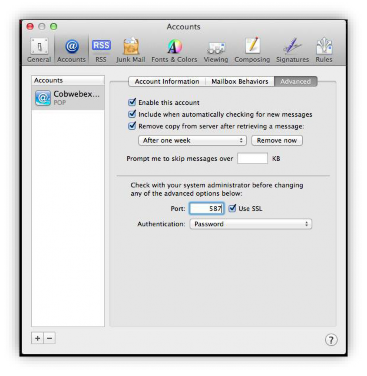 Open Mac Mail and click Mail > Preferences. In the bottom left corner, click the + button. Enter your name, email address and an incorrect password into the password field before clicking Continue. 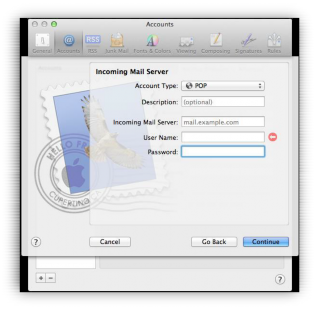 You should receive an error advising Mac Mail was not able to connect to the mail server, click Continue. 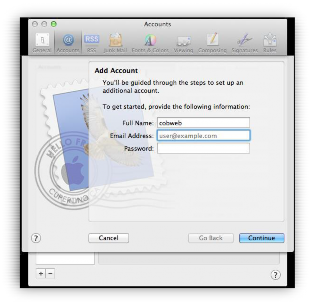 Change the account type to POP3 or IMAP and enter the incoming mail server as pop3.hs20.net (POP3) or imap.hs20.net (IMAP), the username as your full email address and your usual mailbox password. Click the Continue button and tick the Use Secure Socket Layer (SSL) option. 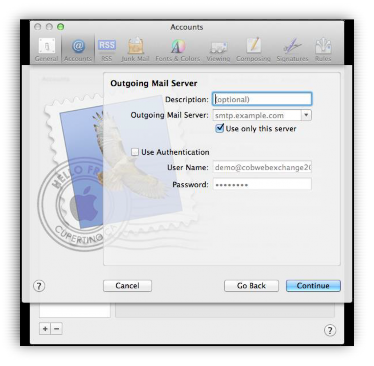 Enter the outgoing mail server as smtp.hs20.net. Tick Use Authentication and enter your full email address and password. Click the Continue button. In the Accounts options menu, click the advanced tab. Change the 'Port' option to 587 and ensure that 'Use SSL' is selected. Close the window and click on Get Mail - your account is fully set up.